We're joined with some special guests, and talk about our past experiences & what we anticipate the most for this year's Anime Boston! We're BACK! It's been a while, sorry! But it's the best time of the year, Anime Boston, aka the home con. We're so excited for this season, we've got guests, big topics, and lots of fun planned! We wrap up our thoughts on Anime NYC 2018! It's one week away from the con! And this episode features a special guest, their roommate and con-buddy, Melissa to discuss their cosplays and her thoughts on Anime NYC. It's down to the last few days before Con Quests heads out to New York, get excited! Also we discuss a SPOILER ALERT for a character death in RWBY. You've been warned. We're back! Sorry we're a little behind, but we're back on track and getting ready for Anime NYC year 2. 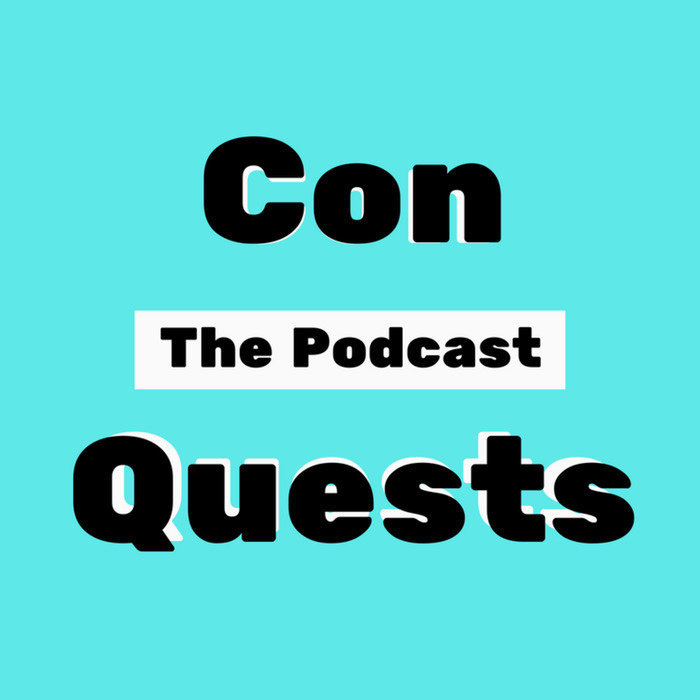 In this episode we talk about the schedule of panels, meet-ups, and how we're looking forward to spending our con. We delve into Anime NYC's history and our general thoughts on the con. What our Boston Comic Con experience was like this year, and what we hope for in next year's. Talking about panels from last year and this year. Our thoughts on guests from this year and last year's. What our experience at Boston Comic Con was like last year. What our KCON NY experience was like this year, and what we hope for in next year's.